Welcome to our superb holiday cottages near Bude in North Cornwall. We provide quality assured self-catering holiday accommodation near Bude in the heart of rural North Cornwall. Our cottages are situated just 3 miles from the beach and 4 miles from Bude, close to the Atlantic Highway, which runs along the North Cornwall coast. Our cottages were converted from the original barns situated around the traditional farm yard and have all undergone further extensive renovation in recent years. Carthouse sleeps 2 people, while Wagtail and Swallow each accommodate 4 people. Wagtail has 1 double and 1 twin bedroom, Swallow has 2 double bedrooms. In each cottage guests have the option of choosing either a king size or twin beds in the master bedroom. All the cottages have modern fully equipped kitchens with a dishwasher, all have central heating and a woodburner, and private enclosed gardens with brick barbecues from which there are stunning views of the surrounding famland. We provide Freeview flat screen televisions with bluetooth soundbars and Blu-Ray DVD players in each cottage; there are also DAB radios with bluetooth speakers in each bedroom, and every cottage has USB charging points for mobile devices. Wi Fi is free and unlimited and as of April 23rd 2019 we will be offering genuine "superfast" broadband with a fibre connection direct from the exchange to the premises. There is free parking in the courtyard. We also welcome dogs of all sizes for a small charge, and have a purpose built indoor dog wash for keeping your 4 legged friend in top condition after a day on the beach. You can book and check standard availability on this page. Cottages are offered for rent on a weekly basis - Carthouse and Wagtail are Saturday changeovers, Swallow is a Friday changeover. Amendments to changeover days and short breaks - minimum 3 nights - are available at certain times of year and if you require these please contact us for details. You can find out more information about all the facilities by visiting the cottages page. We are open throughout the year, so whether you are visiting North Cornwall to enjoy the sounds and sights of summer, or taking in some of the fabulous scenery and walks in the other seasons, we hope you will be our guest soon. 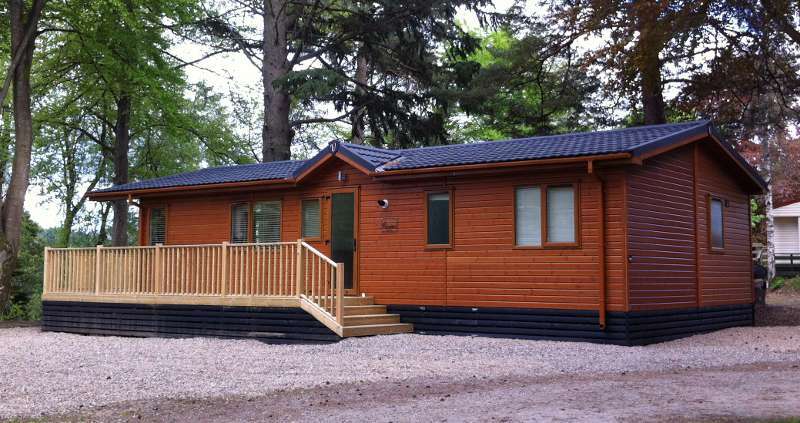 We also offer superb self-catering accommodation in beautiful Dunkeld, Perthshire.